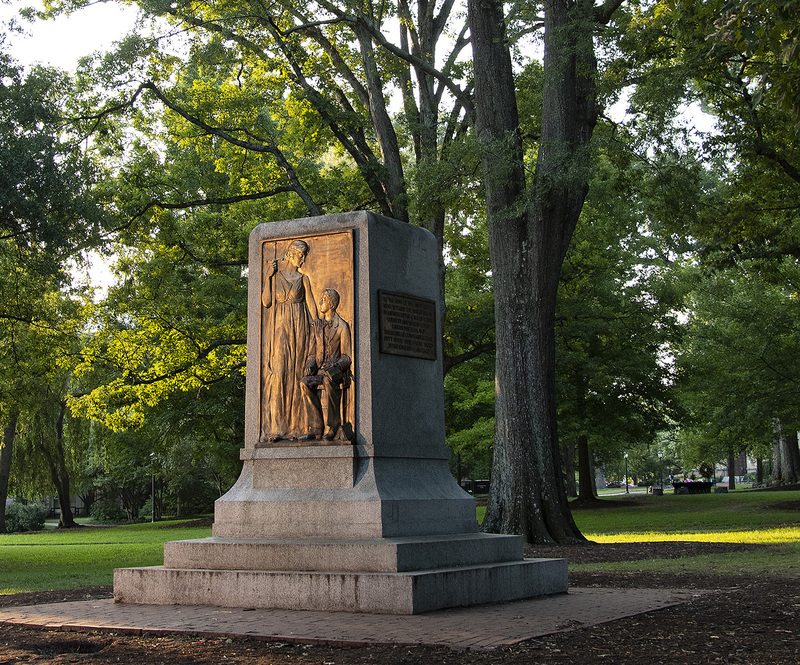 UNC Chancellor Carol L. Folt is soliciting public comment on the fate of Silent Sam as she and the Board of Trustees work toward a November deadline to develop a plan for the statue torn down by protesters at the beginning of the fall semester. Folt said the University has set up a dedicated email address, uncmonument@unc.edu, for anyone to submit ideas about the statue’s future. “While we will not be able to provide individual responses, we will carefully review and consider all ideas as we prepare a plan to present to the Board of Governors in November,” Folt wrote. She noted that all emails submitted would be subject to disclosure under the state’s public records law. The 8-foot-tall statue was pulled down in orchestrated fashion during a protest on the evening of Aug. 20, the day before classes started. The University has stored the statue at an undisclosed location. Its 9-foot-tall base remains in place on McCorkle Place. A week later, the BOT and the BOG passed resolutions calling for a “lawful and lasting” plan to preserve the monument with attention to safety. The BOG directed the chancellor and trustees to devise such a plan and submit it to the system board by Nov. 15. There has been talk among some members of the BOG and General Assembly, as well as demands from some segments of the public, that the statue be returned to its pedestal on McCorkle Place; a 2015 law stipulates that any monument removed temporarily must be replaced within 90 days. While the issue has divided widespread sentiment, some students have said they are insulted by the statue’s presence — what they call a symbol of the Confederacy’s loyalty to the institution of slavery — some adding that they didn’t feel safe when counterprotesters came to the campus before and after the statue came down. Some faculty have signed on to letters to the administration supporting removal of the statue. Some supporters of keeping Silent Sam have said they see the statue as a tribute to those who fought for their homeland in the Civil War, perhaps without regard to the slavery issue, and that removing the statue would be detrimental to the understanding of history.